We’ve all asked this question at some point in our lives: How long would it take to travel to the stars? Could it be within a person’s own lifetime, and could this kind of travel become the norm someday? There are many possible answers to this question – some very simple, others in the realms of science fiction. But coming up with a comprehensive answer means taking a lot of things into consideration. Unfortunately, any realistic assessment is likely to produce answers that would totally discourage futurists and enthusiasts of interstellar travel. Like it or not, space is very large, and our technology is still very limited. But should we ever contemplate “leaving the nest”, we will have a range of options for getting to the nearest Solar Systems in our galaxy. The nearest star to Earth is our Sun, which is a fairly “average” star in the Hertzsprung – Russell Diagram‘s “Main Sequence.” This means that it is highly stable, providing Earth with just the right type of sunlight for life to evolve on our planet. We know there are planets orbiting other stars near to our Solar System, and many of these stars are similar to our own. In the future, should mankind wish to leave the Solar System, we’ll have a huge choice of stars we could travel to, and many could have the right conditions for life to thrive. But where would we go and how long would it take for us to get there? Just remember, this is all speculative and there is currently no benchmark for interstellar trips. That being said, here we go! As already noted, the closest star to our Solar System is Proxima Centauri, which is why it makes the most sense to plot an interstellar mission to this system first. As part of a triple star system called Alpha Centauri, Proxima is about 4.24 light years (or 1.3 parsecs) from Earth. Alpha Centauri is actually the brightest star of the three in the system – part of a closely orbiting binary 4.37 light years from Earth – whereas Proxima Centauri (the dimmest of the three) is an isolated red dwarf about 0.13 light years from the binary. And while interstellar travel conjures up all kinds of visions of Faster-Than-Light (FTL) travel, ranging from warp speed and wormholes to jump drives, such theories are either highly speculative (such as the Alcubierre Drive) or entirely the province of science fiction. In all likelihood, any deep space mission will likely take generations to get there, rather than a few days or in an instantaneous flash. So, starting with one of the slowest forms of space travel, how long will it take to get to Proxima Centauri? The question of how long would it take to get somewhere in space is somewhat easier when dealing with existing technology and bodies within our Solar System. For instance, using the technology that powered the New Horizons mission – which consisted of 16 thrusters fueled with hydrazine monopropellant – reaching the Moon would take a mere 8 hours and 35 minutes. On the other hand, there is the European Space Agency’s (ESA) SMART-1 mission, which took it’s time traveling to the Moon using the method of ionic propulsion. With this revolutionary technology, a variation of which has since been used by the Dawn spacecraft to reach Vesta, the SMART-1 mission took one year, one month and two weeks to reach the Moon. So, from the speedy rocket-propelled spacecraft to the economical ion drive, we have a few options for getting around local space – plus we could use Jupiter or Saturn for a hefty gravitational slingshot. However, if we were to contemplate missions to somewhere a little more out of the way, we would have to scale up our technology and look at what’s really possible. Currently, the slowest form of propulsion, and the most fuel-efficient, is the ion engine. A few decades ago, ionic propulsion was considered to be the subject of science fiction. However, in recent years, the technology to support ion engines has moved from theory to practice in a big way. The ESA’s SMART-1 mission for example successfully completed its mission to the Moon after taking a 13 month spiral path from the Earth. SMART-1 used solar powered ion thrusters, where electrical energy was harvested from its solar panels and used to power its Hall-effect thrusters. Only 82 kg of xenon propellant was used to propel SMART-1 to the Moon. 1 kg of xenon propellant provided a delta-v of 45 m/s. This is a highly efficient form of propulsion, but it is by no means fast. One of the first missions to use ion drive technology was the Deep Space 1 mission to Comet Borrelly that took place in 1998. DS1 also used a xenon-powered ion drive, consuming 81.5 kg of propellant. Over 20 months of thrusting, DS1 was managed to reach a velocity of 56,000 km/hr (35,000 miles/hr) during its flyby of the comet. Ion thrusters are therefore more economical than rocket technology, as the thrust per unit mass of propellant (a.k.a. specific impulse) is far higher. 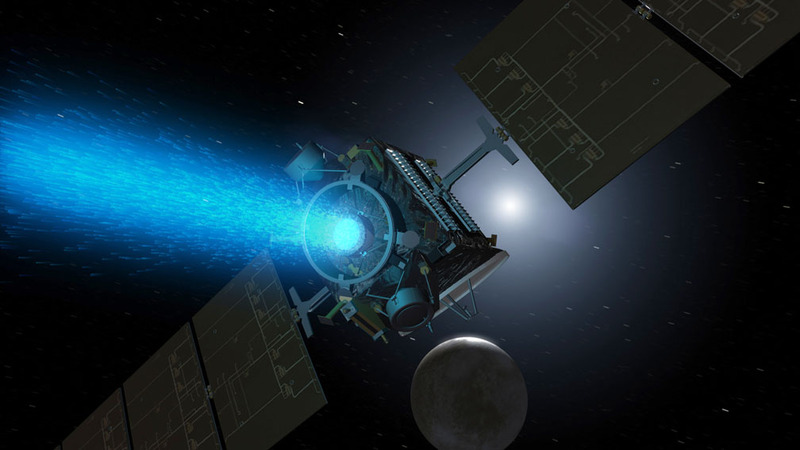 But it takes a long time for ion thrusters to accelerate spacecraft to any great speeds, and the maximum velocity it can achieve is dependent on its fuel supply and how much electrical energy it can generate. So if ionic propulsion were to be used for a mission to Proxima Centauri, the thrusters would need a huge source of energy production (i.e. nuclear power) and a large quantity of propellant (although still less than conventional rockets). But based on the assumption that a supply of 81.5 kg of xenon propellant translates into a maximum velocity of 56,000 km/hr (and that there are no other forms of propulsion available, such as a gravitational slingshot to accelerate it further), some calculations can be made. In short, at a maximum velocity of 56,000 km/h, Deep Space 1 would take over 81,000 years to traverse the 4.24 light years between Earth and Proxima Centauri. To put that time-scale into perspective, that would be over 2,700 human generations. So it is safe to say that an interplanetary ion engine mission would be far too slow to be considered for a manned interstellar mission. But, should ion thrusters be made larger and more powerful (i.e. ion exhaust velocity would need to be significantly higher), and enough propellant could be hauled to keep the spacecraft’s going for the entire 4.243 light-year trip, that travel time could be greatly reduced. Still not enough to happen in someone’s lifetime though. The fastest existing means of space travel is known the Gravity Assist method, which involves a spacecraft using the relative movement (i.e. orbit) and gravity of a planet to alter is path and speed. Gravitational assists are a very useful spaceflight technique, especially when using the Earth or another massive planet (like a gas giant) for a boost in velocity. The Mariner 10 spacecraft was the first to use this method, using Venus’ gravitational pull to slingshot it towards Mercury in February of 1974. In the 1980s, the Voyager 1 probe used Saturn and Jupiter for gravitational slingshots to attain its current velocity of 60,000 km/hr (38,000 miles/hr) and make it into interstellar space. However, it was the Helios 2 mission – which was launched in 1976 to study the interplanetary medium from 0.3 AU to 1 AU to the Sun – that holds the record for highest speed achieved with a gravity assist. At the time, Helios 1 (which launched in 1974) and Helios 2 held the record for closest approach to the Sun. Helios 2 was launched by a conventional NASA Titan/Centaur launch vehicle and placed in a highly elliptical orbit. Due to the large eccentricity (0.54) of the 190 day solar orbit, at perihelion Helios 2 was able to reach a maximum velocity of over 240,000 km/hr (150,000 miles/hr). This orbital speed was attained by the gravitational pull of the Sun alone. Technically, the Helios 2perihelion velocity was not a gravitational slingshot, it was a maximum orbital velocity, but it still holds the record for being the fastest man-made object regardless. So, if Voyager 1 was traveling in the direction of the red dwarf Proxima Centauri at a constant velocity of 60,000 km/hr, it would take 76,000 years (or over 2,500 generations) to travel that distance. But if it could attain the record-breaking speed of Helios 2‘s close approach of the Sun – a constant speed of 240,000 km/hr – it would take 19,000 years (or over 600 generations) to travel 4.243 light years. Significantly better, but still not in the ream of practicality. who started Satellite Propulsion Research Ltd (SPR) to bring it to fruition, this drive is built around the idea that electromagnetic microwave cavities can allow for the direct conversion of electrical energy to thrust. Whereas conventional electromagnetic thrusters are designed to propel a certain type of mass (such as ionized particles), this particular drive system relies on no reaction mass and emits no directional radiation. Such a proposal has met with a great deal of skepticism, mainly because it violates the law of Conservation of Momentum – which states that within a system, the amount of momentum remains constant and is neither created nor destroyed, but only changes through the action of forces. However, recent experiments with the technology have apparently yielded positive results. 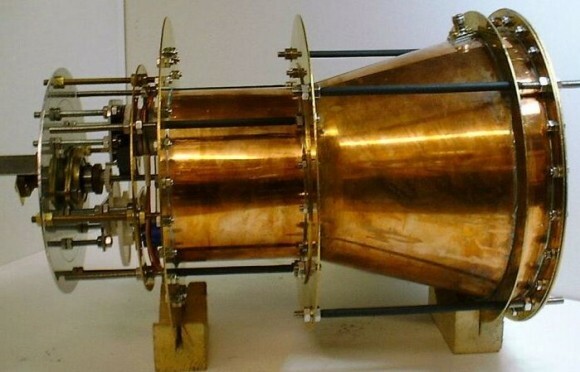 In July of 2014, at the 50th AIAA/ASME/SAE/ASEE Joint Propulsion Conference in Cleveland, Ohio, researchers from NASA’s advanced propulsion research claimed that they had successfully tested a new design for an electromagnetic propulsion drive. This was followed up in April of 2015 when researchers at NASA Eagleworks (part of the Johnson Space Center) claimed that they had successfully tested the drive in a vacuum, an indication that it might actually work in space. In July of that same year, a research team from the Dresden University of Technology’s Space System department built their own version of the engine and observed a detectable thrust. And in 2010, Prof. Juan Yang of the Northwestern Polytechnical University in Xi’an, China, began publishing a series of papers about her research into EM Drive technology. This culminated in her 2012 paperwhere she reported higher input power (2.5kW) and tested thrust (720mN) levels. In 2014, she further reported extensive tests involving internal temperature measurements with embedded thermocouples, which seemed to confirm that the system worked. According to calculations based on the NASA prototype (which yielded a power estimate of 0.4 N/kilowatt), a spacecraft equipped with the EM drive could make the trip to Pluto in less than 18 months. That’s one-sixth the time it took for the New Horizons probe to get there, which was traveling at speeds of close to 58,000 km/h (36,000 mph). Sounds impressive. But even at that rate, it would take a ship equipped with EM engines over 13,000 years for the vessel to make it to Proxima Centauri. Getting closer, but not quickly enough! and until such time that technology can be definitively proven to work, it doesn’t make much sense to put our eggs into this basket. Another possibility for interstellar space flight is to use spacecraft equipped with nuclear engines, a concept which NASA has been exploring for decades. In a Nuclear Thermal Propulsion (NTP) rocket, uranium or deuterium reactions are used to heat liquid hydrogen inside a reactor, turning it into ionized hydrogen gas (plasma), which is then channeled through a rocket nozzle to generate thrust. A Nuclear Electric Propulsion (NEP) rocket involves the same basic reactor converting its heat and energy into electrical energy, which would then power an electrical engine. In both cases, the rocket would rely on nuclear fission or fusion to generates propulsion rather than chemical propellants, which has been the mainstay of NASA and all other space agencies to date. Compared to chemical propulsion, both NTP and NEC offers a number of advantages. The first and most obvious is the virtually unlimited energy density it offers compared to rocket fuel. In addition, a nuclear-powered engine could also provide superior thrust relative to the amount of propellant used. This would cut the total amount of propellant needed, thus cutting launch weight and the cost of individual missions. 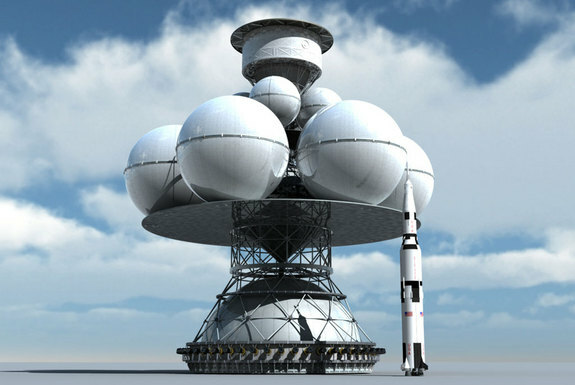 Although no nuclear-thermal engines have ever flown, several design concepts have been built and tested over the past few decades, and numerous concepts have been proposed. These have ranged from the traditional solid-core design – such as the Nuclear Engine for Rocket Vehicle Application (NERVA) – to more advanced and efficient concepts that rely on either a liquid or a gas core. However, despite these advantages in fuel-efficiency and specific impulse, the most sophisticated NTP concept has a maximum specific impulse of 5000 seconds (50 kN·s/kg). 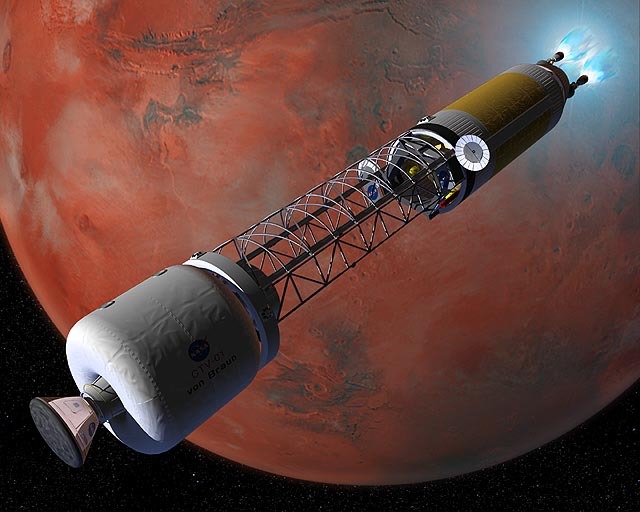 Using nuclear engines driven by fission or fusion, NASA scientists estimate it would could take a spaceship only 90 days to get to Mars when the planet was at “opposition” – i.e. as close as 55,000,000 km from Earth. But adjusted for a one-way journey to Proxima Centauri, a nuclear rocket would still take centuries to accelerate to the point where it was flying a fraction of the speed of light. It would then require several decades of travel time, followed by many more centuries of deceleration before reaching it destination. All told, were still talking about 1000 yearsbefore it reaches its destination. 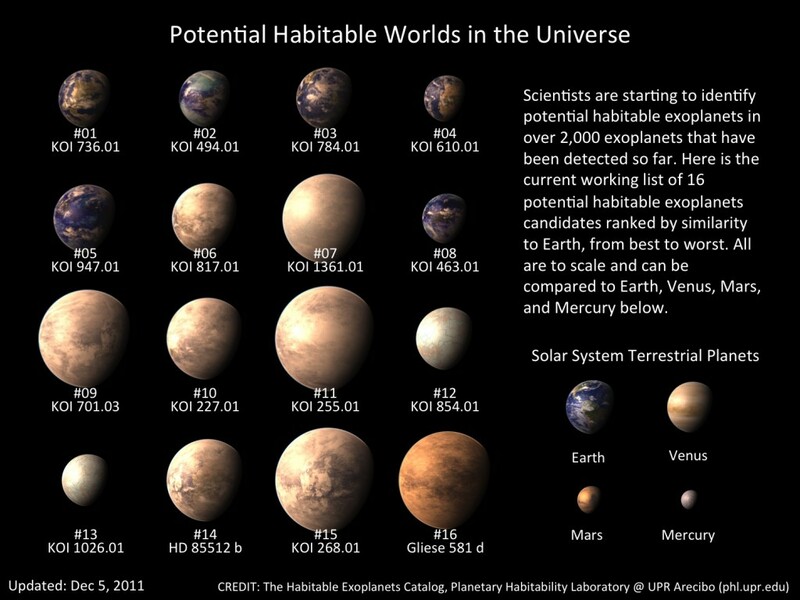 Good for interplanetary missions, not so good for interstellar ones. Using existing technology, the time it would take to send scientists and astronauts on an interstellar mission would be prohibitively slow. If we want to make that journey within a single lifetime, or even a generation, something a bit more radical (aka. highly theoretical) will be needed. And while wormholes and jump engines may still be pure fiction at this point, there are some rather advanced ideas that have been considered over the years. Nuclear pulse propulsion is a theoretically possible form of fast space travel. The concept was originally proposed in 1946 by Stanislaw Ulam, a Polish-American mathematician who participated in the Manhattan Project, and preliminary calculations were then made by F. Reines and Ulam in 1947. The actual project – known as Project Orion – was initiated in 1958 and lasted until 1963. Led by Ted Taylor at General Atomics and physicist Freeman Dyson from the Institute for Advanced Study in Princeton, Orion hoped to harness the power of pulsed nuclear explosions to provide a huge thrust with very high specific impulse (i.e. the amount of thrust compared to weight or the amount of seconds the rocket can continually fire). 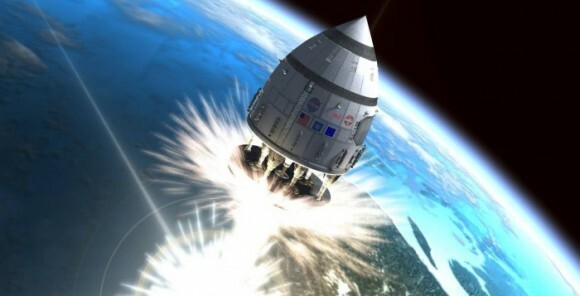 In a nutshell, the Orion design involves a large spacecraft with a high supply of thermonuclear warheads achieving propulsion by releasing a bomb behind it and then riding the detonation wave with the help of a rear-mounted pad called a “pusher”. After each blast, the explosive force would be absorbed by this pusher pad, which then translates the thrust into forward momentum. Though hardly elegant by modern standards, the advantage of the design is that it achieves a high specific impulse – meaning it extracts the maximum amount of energy from its fuel source (in this case, nuclear bombs) at minimal cost. In addition, the concept could theoretically achieve very high speeds, with some estimates suggesting a ballpark figure as high as 5% the speed of light (or 5.4×107 km/hr). But of course, there the inevitable downsides to the design. For one, a ship of this size would be incredibly expensive to build. According to estimates produced by Dyson in 1968, an Orion spacecraft that used hydrogen bombs to generate propulsion would weight 400,000 to 4,000,000 metric tons. And at least three quarters of that weight consists of nuclear bombs, where each warhead weights approximately 1 metric ton. All told, Dyson’s most conservative estimates placed the total cost of building an Orion craft at 367 billion dollars. Adjusted for inflation, that works out to roughly $2.5 trillion dollars – which accounts for over two thirds of the US government’s current annual revenue. Hence, even at its lightest, the craft would be extremely expensive to manufacture. There’s also the slight problem of all the radiation it generates, not to mention nuclear waste. In fact, it is for this reason that the Project is believed to have been terminated, owing to the passage of the Partial Test Ban Treaty of 1963 which sought to limit nuclear testing and stop the excessive release of nuclear fallout into the planet’s atmosphere. Another possibility within the realm of harnessed nuclear power involves rockets that rely on thermonuclear reactions to generate thrust. For this concept, energy is created when pellets of a deuterium/helium-3 mix are ignited in a reaction chamber by inertial confinement using electron beams (similar to what is done at the National Ignition Facilityin California). This fusion reactor would detonate 250 pellets per second to create high-energy plasma, which would then be directed by a magnetic nozzle to create thrust. Like a rocket that relies on a nuclear reactor, this concept offers advantages as far as fuel efficiency and specific impulse are concerned. Exhaust velocities of up to 10,600 km/s are estimated, which is far beyond the speed of conventional rockets. What’s more, the technology has been studied extensively over the past few decades, and many proposals have been made. For example, between 1973 and 1978, the British Interplanetary Societyconducted feasibility study known as Project Daedalus. Relying on current knowledge of fusion technology and existing methods, the study called for the creation of a two-stage unmanned scientific probe making a trip to Barnard’s Star (5.9 light years from Earth) in a single lifetime. The first stage, the larger of the two, would operate for 2.05 years and accelerate the spacecraft to 7.1% the speed of light (o.071 c). This stage would then be jettisoned, at which point, the second stage would ignite its engine and accelerate the spacecraft up to about 12% of light speed (0.12 c) over the course of 1.8 years. The second-stage engine would then be shut down and the ship would enter into a 46-year cruise period. According to the Project’s estimates, the mission would take 50 years to reach Barnard’s Star. Adjusted for Proxima Centauri, the same craft could make the trip in 36 years. But of course, the project also identified numerous stumbling blocks that made it unfeasible using then-current technology – most of which are still unresolved. For instance, there is the fact that helium-3 is scare on Earth, which means it would have to be mined elsewhere (most likely on the Moon).Second, the reaction that drives the spacecraft requires that the energy released vastly exceed the energy used to trigger the reaction. And while experiments here on Earth have surpassed the “break-even goal”, we are still a long way away from the kinds of energy needed to power an interstellar spaceship. Third, there is the cost factor of constructing such a ship. Even by the modest standard of Project Daedalus’ unmanned craft, a fully-fueled craft would weight as much as 60,000 Mt. To put that in perspective, the gross weight of NASA’s SLS is just over 30 Mt, and a single launch comes with a price tag of $5 billion (based on estimates made in 2013). In short, a fusion rocket would not only be prohibitively expensive to build, it would require a level of fusion reactor technology that is currently beyond our means. Icarus Interstellar, an international organization of volunteer citizen scientists (some of whom worked for NASA or the ESA) have since attempted to revitalize the concept withProject Icarus. 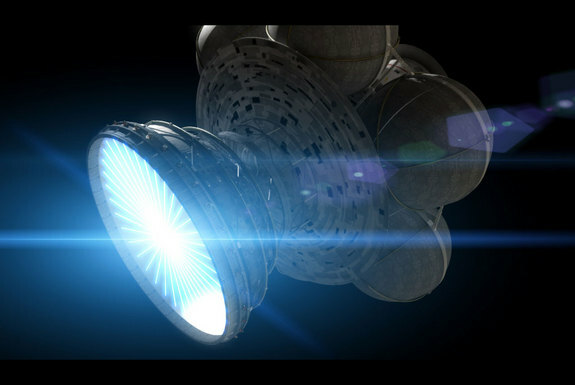 Founded in 2009, the group hopes to make fusion propulsion (among other things) feasible by the near future. Also known as the Bussard Ramjet, this theoretical form of propulsion was first proposed by physicist Robert W. Bussard in 1960. Basically, it is an improvement over the standard nuclear fusion rocket, which uses magnetic fields to compress hydrogen fuel to the point that fusion occurs. But in the Ramjet’s case, an enormous electromagnetic funnel “scoops” hydrogen from the interstellar medium and dumps it into the reactor as fuel. As the ship picks up speed, the reactive mass is forced into a progressively constricted magnetic field, compressing it until thermonuclear fusion occurs. The magnetic field then directs the energy as rocket exhaust through an engine nozzle, thereby accelerating the vessel. Without any fuel tanks to weigh it down, a fusion ramjet could achieve speeds approaching 4% of the speed of light and travel anywhere in the galaxy. However, the potential drawbacks of this design are numerous. For instance, there is the problem of drag. The ship relies on increased speed to accumulate fuel, but as it collides with more and more interstellar hydrogen, it may also lose speed – especially in denser regions of the galaxy. Second, deuterium and tritium (used in fusion reactors here on Earth) are rare in space, whereas fusing regular hydrogen (which is plentiful in space) is beyond our current methods. This concept has been popularized extensively in science fiction. Perhaps the best known example of this is in the franchise of Star Trek, where “Bussard collectors” are the glowing nacelles on warp engines. But in reality, our knowledge of fusion reactions need to progress considerably before a ramjet is possible. We would also have to figure out that pesky drag problem before we began to consider building such a ship! 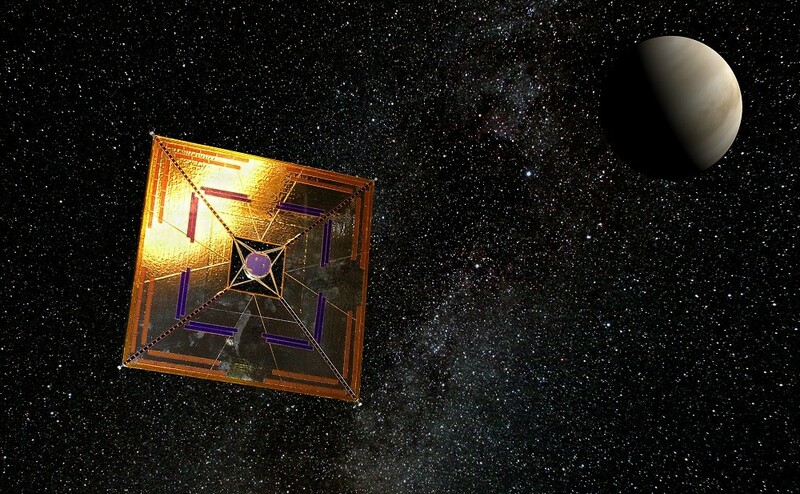 Solar sails have long been considered to be a cost-effective way of exploring the Solar System. In addition to being relatively easy and cheap to manufacture, there’s the added bonus of solar sails requiring no fuel. Rather than using rockets that require propellant, the sail uses the radiation pressure from stars to push large ultra-thin mirrors to high speeds. However, for the sake of interstellar flight, such a sail would need to be driven by focused energy beams (i.e. lasers or microwaves) to push it to a velocity approaching the speed of light. The concept was originally proposed by Robert Forward in 1984, who was a physicist at the Hughes Aircraft’s research laboratories at the time. The concept retains the benefits of a solar sail, in that it requires no on-board fuel, but also from the fact that laser energy does not dissipate with distance nearly as much as solar radiation. So while a laser-driven sail would take some time to accelerate to near-luminous speeds, it would be limited only to the speed of light itself. According to a 2000 study produced by Robert Frisbee, a director of advanced propulsion concept studies at NASA’s Jet Propulsion Laboratory, a laser sail could be accelerated to half the speed of light in less than a decade. He also calculated that a sail measuring about 320 km (200 miles) in diameter could reach Proxima Centauri in just over 12 years. Meanwhile, a sail measuring about 965 km (600 miles) in diameter would arrive in just under 9 years. However, such a sail would have to be built from advanced composites to avoid melting. Combined with its size, this would add up to a pretty penny! Even worse is the sheer expense incurred from building a laser large and powerful enough to drive a sail to half the speed of light. According to Frisbee’s own study, the lasers would require a steady flow of 17,000 terawatts of power – close to what the entire world consumes in a single day. Fans of science fiction are sure to have heard of antimatter. But in case you haven’t, antimatter is essentially material composed of antiparticles, which have the same mass but opposite charge as regular particles. An antimatter engine, meanwhile, is a form of propulsion that uses interactions between matter and antimatter to generate power, or to create thrust. In short, an antimatter engine involves particles of hydrogen and antihydrogen being slammed together. This reaction unleashes as much as energy as a thermonuclear bomb, along with a shower of subatomic particles called pions and muons. These particles, which would travel at one-third the speed of light, are then be channeled by a magnetic nozzle to generate thrust. The advantage to this class of rocket is that a large fraction of the rest mass of a matter/antimatter mixture may be converted to energy, allowing antimatter rockets to have a far higher energy density and specific impulse than any other proposed class of rocket. What’s more, controlling this kind of reaction could conceivably push a rocket up to half the speed of light. Pound for pound, this class of ship would be the fastest and most fuel-efficient ever conceived. Whereas conventional rockets require tons of chemical fuel to propel a spaceship to its destination, an antimatter engine could do the same job with just a few milligrams of fuel. In fact, the mutual annihilation of a half pound of hydrogen and antihydrogen particles would unleash more energy than a 10-megaton hydrogen bomb. It is for this exact reason that NASA’s Institute for Advanced Concepts(NIAC) has investigated the technology as a possible means for future Mars missions. Unfortunately, when contemplating missions to nearby star systems, the amount if fuel needs to make the trip is multiplied exponentially, and the cost involved in producing it would be astronomical (no pun!). 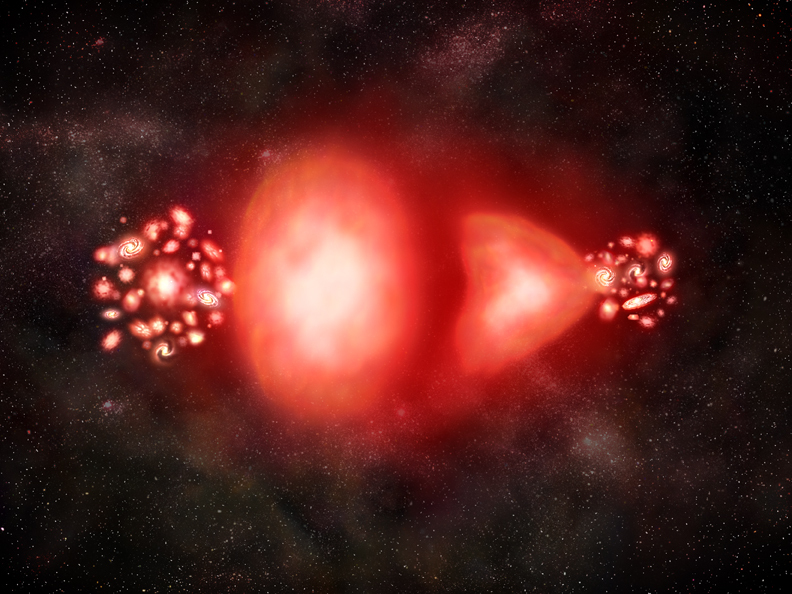 Whereas a single gram of antimatter would produce an incredible amount of energy, it is estimated that producing just one gram would require approximately 25 million billion kilowatt-hours of energy and cost over a trillion dollars. At present, the total amount of antimatter that has been created by humans is less 20 nanograms. And even if we could produce antimatter for cheap, you would need a massive ship to hold the amount of fuel needed. According to a report by Dr. Darrel Smith & Jonathan Webby of the Embry-Riddle Aeronautical University in Arizona, an interstellar craft equipped with an antimatter engine could reach 0.5 the speed of light and reach Proxima Centauri in a little over 8 years. However, the ship itself would weigh 400 Mt, and would need 170 MT of antimatter fuel to make the journey. A possible way around this is to create a vessel that can create antimatter which it could then store as fuel. This concept, known as theVacuum to Antimatter Rocket Interstellar Explorer System (VARIES), was proposed by Richard Obousy of Icarus Interstellar. Based on the idea of in-situ refueling, a VARIES ship would rely on large lasers (powered by enormous solar arrays) which would create particles of antimatter when fired at empty space. Much like the Ramjet concept, this proposal solves the problem of carrying fuel by harnessing it from space. But once again, the sheer cost of such a ship would be prohibitively expensive using current technology. In addition, the ability to create dark matter in large volumes is not something we currently have the power to do. There’s also the matter of radiation, as matter-antimatter annihilation can produce blasts of high-energy gamma rays. This not only presents a danger to the crew, requiring significant radiations shielding, but requires the engines be shielded as well to ensure they don’t undergo atomic degradation from all the radiation they are exposed to. So bottom line, the antimatter engine is completely impractical with our current technology and in the current budget environment. 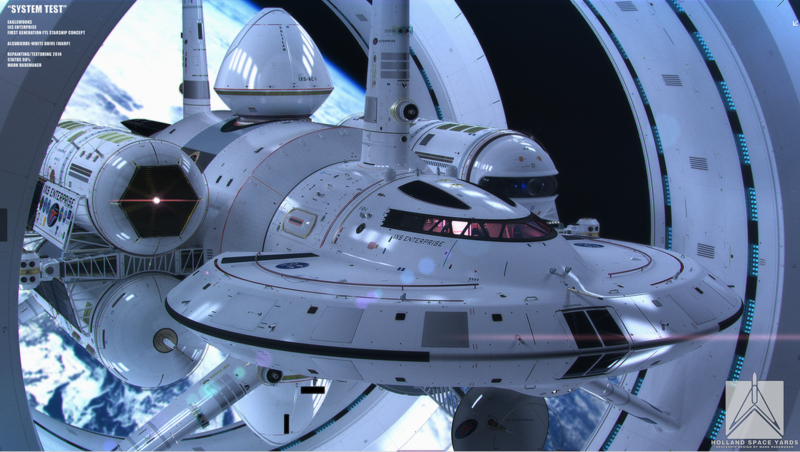 Fans of science fiction are also no doubt familiar with the concept of an Alcubierre (or “Warp”) Drive. Proposed by Mexican physicist Miguel Alcubierre in 1994, this proposed method was an attempt to make FTL travel possible without violating Einstein’s theory of Special Relativity. In short, the concept involves stretching the fabric of space-time in a wave, which would theoretically cause the space ahead of an object to contract and the space behind it to expand. An object inside this wave (i.e. a spaceship) would then be able to ride this wave, known as a “warp bubble”, beyond relativistic speeds. Since the ship is not moving within this bubble, but is being carried along as it moves, the rules of space-time and relativity would cease to apply. The reason being, this method does not rely on moving faster than light in the local sense. It is only “faster than light” in the sense that the ship could reach its destination faster than a beam of light that was traveling outside the warp bubble. So assuming that a spacecraft could be outfitted with an Alcubierre Drive system, it would be able to make the trip to Proxima Centauri in less than 4 years. So when it comes to theoretical interstellar space travel, this is by far the most promising technology, at least in terms of speed. Naturally, the concept has been received its share of counter-arguments over the years. Chief amongst them are the fact that it does not take quantum mechanics into account, and could be invalidated by a Theory of Everything (such as loop quantum gravity). Calculations on the amount of energy required have also indicated that a warp drive would require a prohibitive amount of power to work. Other uncertainties include the safety of such a system, the effects on space-time at the destination, and violations of causality. However, in 2012, NASA scientist Harold Sonny White announced that he and his colleagues had begun researching the possibility of an Alcubierre Drive. In a paper titled “Warp Field Mechanics 101“, White claimed that they had constructed an interferometer that will detect the spatial distortions produced by the expanding and contracting spacetime of the Alcubierre metric. In 2013, the Jet Propulsion Laboratory published results of a warp field test which was conducted under vacuum conditions. Unfortunately, the results were reported as “inconclusive”. Long term, we may find that Alcubierre’s metric may violate one or more fundamental laws of nature. And even if the physics should prove to be sound, there is no guarantee it can be harnessed for the sake of FTL flight. In conclusion, if you were hoping to travel to the nearest star within your lifetime, the outlook isn’t very good. However, if mankind felt the incentive to build an “interstellar ark” filled with a self-sustaining community of space-faring humans, it might be possible to travel there in a little under a century if we were willing to invest in the requisite technology. But all the available methods are still very limited when it comes to transit time. And while taking hundreds or thousands of years to reach the nearest star may matter less to us if our very survival was at stake, it is simply not practical as far as space exploration and travel goes. By the time a mission reached even the closest stars in our galaxy, the technology employed would be obsolete and humanity might not even exist back home anymore. Provided by Matt Williams at Universe Today.